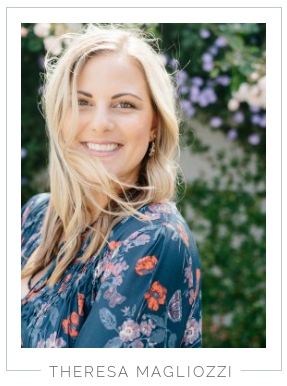 Hi y'all - I am 'the lane' behind 'life of the lane' and could not be more excited to be guest blogging today for my sweet blogger friend Theresa here today! I am pretty new to the blogging world, and love love love connecting with new bloggers. While Theresa and I don't live close to each other at all, we have started a sweet (e)mail friendship and I look forward to every email and comment left by this sweet girl! So when she asked me to guest post while she has her toes in the sand (not jealous at all!!!) of course I said, absolutely! I was born in Dallas, Texas, almost a Thanksgiving Baby, but I decided to cook a little longer! When I was almost 7 my mom remarried and we transplanted our family to Germany for the next 13 years of my life. My sister and I grew up going to German schools, but our parents were sure we never forgot our Texas roots or accent! My first two years of college were spent in Barcelona, Spain… it didn’t take me long to realize that was not where I wanted to spend my 20's or finish my education. So as a junior I transferred to Baylor University- where I graduated on time and with a handful of friends I will have for life. Fast-forward a few years: I'm living in Dallas again, surrounded by family and close friends, and I am blessed with my dream job of working for a non-profit from my home office. I am a certified yoga instructor, you can find me on my yoga mat almost every day- I love a good sweaty vinyasa flow. And last but not least there is a handsome cowboy that I like to call my boyfriend who works and lives on a working cattle ranch in Oklahoma. My immediate family- sister, mamma, and me - love 'em to pieces! These are my bestest of friends the night before the lucky lady in the middle tied the knot! This picture was taken the day I finished my yoga teacher training..I love it simply because it will forever be a favorite memory and plus this pose is called 'wild thing'! 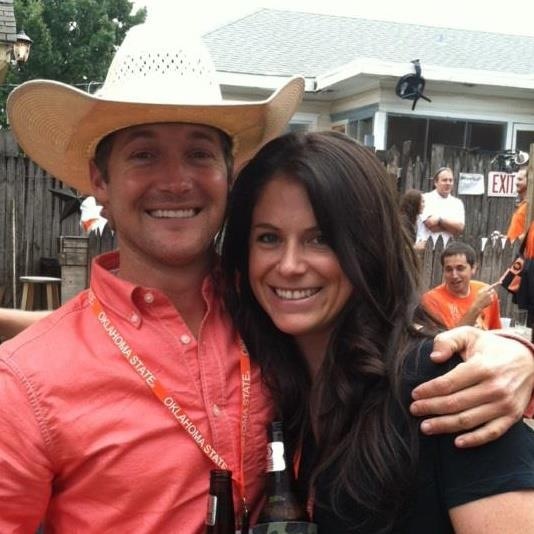 Me and my handsome cowboy- enjoying a few cold ones after a home game win last year! Or you can just follow along here, here and here for more adventures in my little life!! Big (really big) thank you again to Theresa for asking me to guest blog- I am totally honored! Hope the beach is treating you well- please have a Margarita... (or 5!!) for me- Cheers! I hope you'll head over to her blog and say hello. She often posts of her time spent at her cowboy's ranch, I always love reading those because they remind me of home. I hope ya'll are having a great week! ahhhh- thank you for having me today!!! Love it! Her blog is great :) Woo for Oklahoma boys!